Senator the Hon. 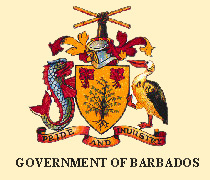 E. R. Griffith: To move the passing of a Resolution to approve the guarantee by the Minister of Finance of the payment of the principal and interest in respect of a loan by the Barbados Agricultural Management Co. Ltd. of the sum of $25 000 000.00 in the currency of the United States of America for the purpose of financing the sugar industry. Notice of this Bill was given on 17th March, 2007. Notice of this Bill was given on 24th March, 2007. Senator the Hon. E. R. Griffith: To move the first Reading of the Barbados International Business Promotion (Amendment), Bill, 2007. Notice of this Bill was given on the 24th March, 2007.